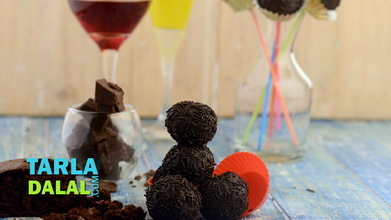 Chocolate truffles are petit balls that are rich, soft and grainy. 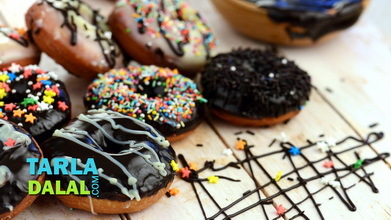 They are made of a mouth-watering combination of chocolate, butter, icing sugar and coffee powder. 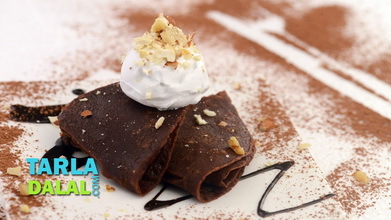 Once the truffles are made, they are rolled in cocoa powder, castor sugar and walnuts, enhancing the drool-quotient! this recipe uses a spot of rum as a flavour enhancer, but you can avoid it if you want to. 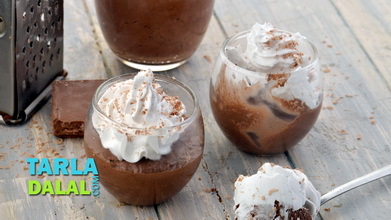 Combine the coffee powder with 2 tbsp of hot water in a bowl, mix well and keep aside. 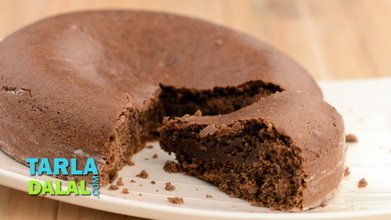 Combine the butter and chocolate in a deep non-stick pan and cook on a slow flame for 3 to 4 minutes or till the chocolate melts, while stirring continuously. Add the coffee mixture and icing sugar and mix well. Cook on a medium flame for 3 to 4 minutes, while stirring continuously. Add the rum, mix well and remove from the flame. Cool and refrigerate for approx. 1 hour or till the mixture is firm. 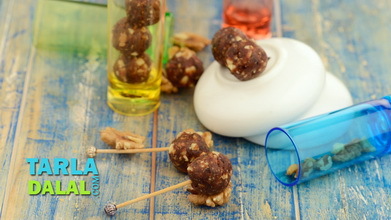 Divide the mixture into 15 equal portions and shape each portion into small round balls. Keep aside. 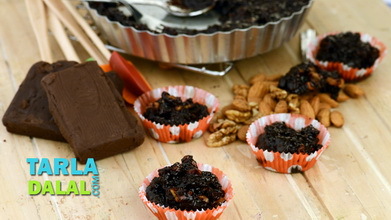 Combine the castor sugar, cocoa powder and walnuts in a plate and mix well. 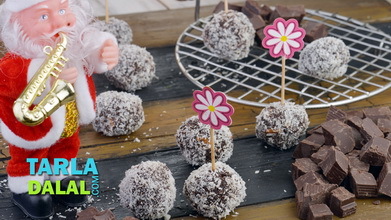 Roll the chocolate balls in the above mixture till they are evenly coated from all the sides. Serve immediately or refrigerate till serving. 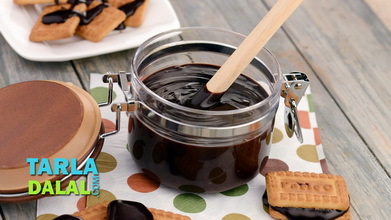 Cook the chocolate on a very slow flame as it tends to burn very quickly leaving an unpleasant taste.